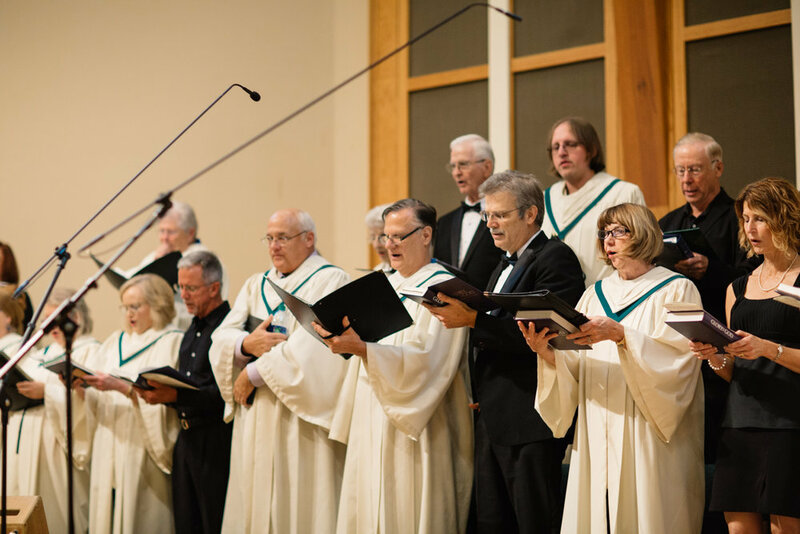 From folk hymns and spirituals to cantatas and requiems, our music ministry's diverse offerings reflect solid theology, serious rehearsal, and quality performance. Corresponding to the lectionary scripture, the selections progress with the liturgical seasons. So that anyone may honor God with music, we offer a wide variety of opportunities. For more Music Ministry information, contact David Stivers, Director of Music, at david.s@firstpresptc.org. The Chancel Choir participates in worship almost every Sunday morning. Special musical presentations are offered during the Advent/Christmas season, during Holy Week, and various times throughout the year. The Chancel Choir rehearsals are Wednesday from 7:30 p.m. to 9:00 p.m. in the Choir Room. Chancel Handbells, with three octaves of handbells, perform in Sunday morning worship approximately once a month. The Chancel Handbells meet to practice the art of handbell ringing on Wednesday evenings when rehearsals are announced.